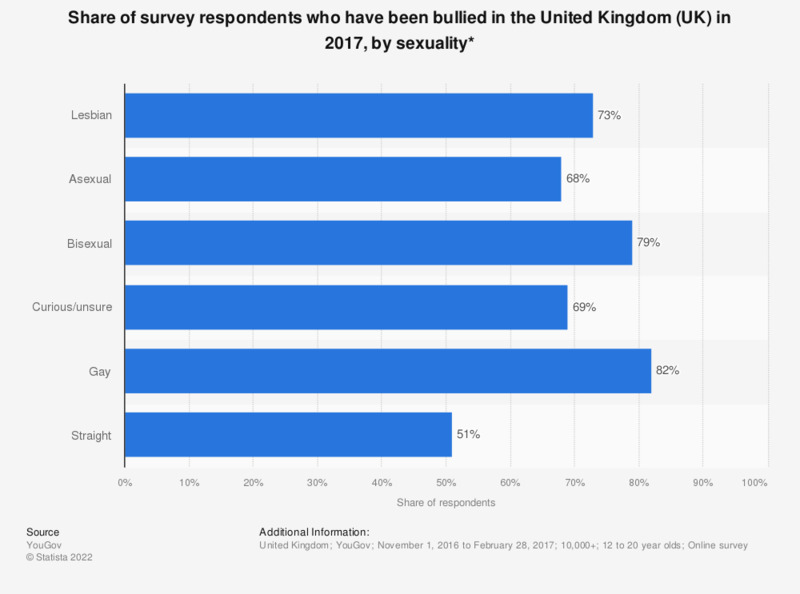 This statistic shows self-reported bullying victims in the United Kingdom (UK) as of 2017, by sexuality. Gay respondents, with 82 percent reporting being bullied, were apparently the most likely to be targeted by bullies. Why didn't you tell anyone about the bullying? Why do you think you were bullied? When you were bullied, which part, if any, of your appearance was targeted?